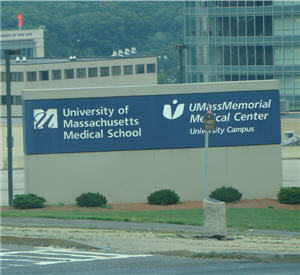 UMass Medical won an Early Innovator Grant from the U.S. Department of Health & Human Services(HHS). The significant grant of $35.6 million is to be used to develop a new online healthcare exchange system where both consumers and small businesses can shop and buy into health plans that are best for them. Based on the news release from HHS a total of $241 million was granted to 6 state based departments or agencies and 1 Medical School(UMass). The main reason for this is that they are basically going to be the point organization for coordinating all the New England states in this effort. Starting in 2014, Exchanges will help individuals and small employers shop for, select, and enroll in high-quality, affordable private health plans that fit their individual needs at competitive prices. By providing a place for one-stop shopping, Exchanges will make purchasing health insurance easier and more understandable. Similar to any consumer-based industry such as the airline or banking industries, sophisticated, consumer-friendly IT infrastructure will be critical to the success of the Exchanges. Although Exchanges are not scheduled to launch until 2014, work is already underway to design and implement them across the country. As states prepare, they have requested early funding assistance to develop the right IT, particularly with respect to eligibility and enrollment systems. Massachusetts because of its experience with our own Health Care reform has some history of implementing a similar type of exchange which is used today and is called “The Connector“. Even this system is going to be reworked for what the National Health Reform Laws require. Though UMass Medical is based in Worcester it would appear that the benefit of the 35.6 million grant (jobs…) would be spread across the New England states based on the expertise required.